We are here to ensure your fishing charters in Punta Cana are one of the best experiences of your life. Punta Cana is the one of, if not the best destination, and Punta Cana fishing charters will have you return many times more. We have the best Punta Cana Cruise Excursion. 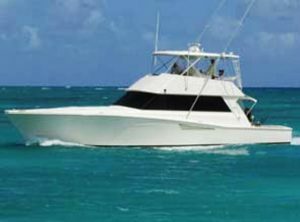 Our Punta Cana Fishing Charters are a great choice for deep sea fishing and why people choose as a Punta Cana Shore Excursion. Punta Cana waters are world-renowned for their game fish. We will HOOK YOU UP with the best fishing experience! Let us help you REEL in some Great Memories! 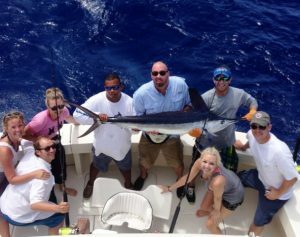 Fishing Charters in Punta Cana are a great choice for deep sea fishing, for Sailfish, Mahi, Kingfish, Dolphin, Wahoo, and more. That is why our Punta Cana fishing charters are extremely popular with visitors and locals alike. YOU HAVE A FRIEND IN THE CHARTER BUSINESS. Our Captains treat you special; you are not treated just as a number, or one time charter. Catching fish such as shark, sailfish, mahi-mahi, grouper, snapper, tuna, Wahoo, and others is extremely satisfying and you will love the possibility and challenge! We collect no payment information at this time, but if you decide to book, we accept all major credit cards.